How to integrate your Nuki Smart Lock in your existing smart home? Looking to easily integrate your Nuki Smart Lock into your existing Smart Home? The Nuki Smart Lock is designed for standard compatibility with a wide range of Smart Home systems. With the right integration, the smart door lock can also communicate with your Z-Wave or Zigbee devices. Please note: the availability of the respective integration varies by country. Thanks to the integration of the Apple HomeKit, you can also easily control your Nuki Smart Lock 2.0 via your iPhone, Apple Watch, Apple TV, or Apple HomePod tuner. With the Nuki Skill for Amazon Alexa, you can easily control your Nuki Smart Lock with your Echo devices and all other Alexa-compatible devices. With the Google Assistant, you can conveniently control your Nuki Smart Lock using voice commands. Thanks to the integration of the Apple HomeKit, you can also easily control your Nuki Smart Lock 2.0 via your iPhone, Apple Watch, Apple TV, or Apple HomePod tuner. This also works with any other HomeKit-enabled device that you can easily manage and integrate into smart scenes through the Apple Home App. Open the Home App on your iPhone. Scan the HomeKit QR code at the bottom of your Smart Locks or on the small insert slip (recognisable by the HomeKit logo). Assign your electronic door lock to an apartment and a room to complete the installation. With the Nuki Skill for Amazon Alexa, you can easily control your Nuki Smart Lock with your Echo devices and all other Alexa-compatible devices. Check the status of your Smart Lock at any time and have Alexa open your door when your guests arrive. 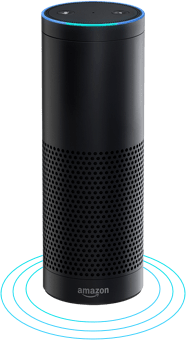 Find more information about Alexa Skills on our blog. You need a Nuki Web Account to active the Amazon Alexa Skill. Activate Nuki Web in the Nuki App and specify an email address and a password. Activate the Nuki Skill in the Alexa App and use your Nuki Web Account to grant access to your Smart Locks. With the Google Assistant, you can conveniently control your Nuki Smart Lock using voice commands. You can close the door using your Google Home speaker or the Google Home App on your smartphone. For example, you can use routines to set one command to turn off the lights and close your Smart Lock. All information about Google Home can be found here. 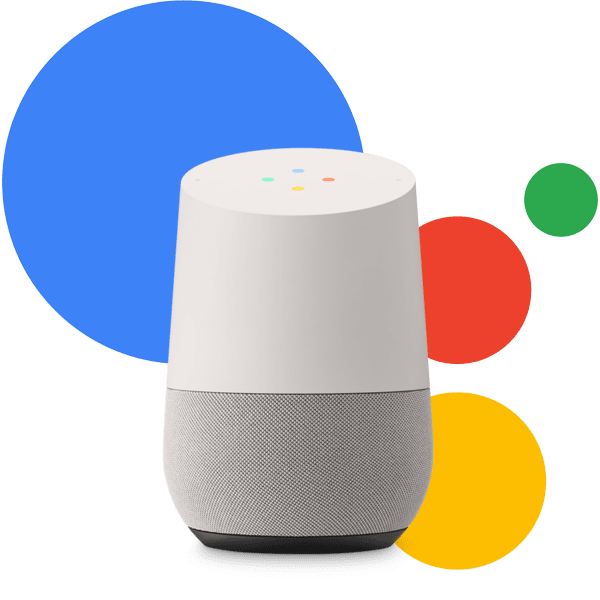 You need a Nuki Web Account for Google Home integration. Say to your Google Assistant: “Talk to Nuki”. In your Google Home App, the icon “Link to Nuki” will now appear under “Other settings/services”. Choose the account and use your Nuki Web Account to grant the Google Assistant access to your Smart Lock. IFTTT allows you to connect different Smart Home services via predefined applets. On IFTTT, you’ll find numerous apps and devices that you use every day, such as Facebook, Twitter, Google Drive, Philips Hue, Amazon Alexa, Nest and of course Nuki. You’ll be able to, for example, control your lights or heating when you leave the house or have notifications sent to your smartphone when someone enters your home. 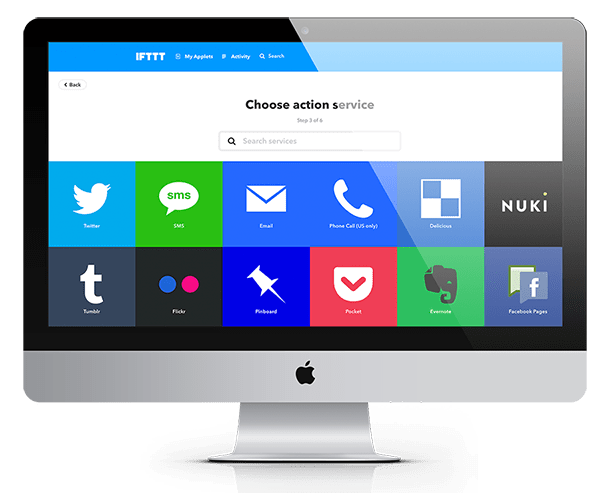 You need a Nuki Web account to use IFTTT with Nuki. Activate Nuki Web in the Nuki App. Open the Nuki IFTTT Channel. Activate one of the suggested applets or develop your own IFTTT applet with Nuki. homee is a fully modular Smart Home central unit. Thanks to the so-called Brain Cube and the expandable modules, you can easily integrate your Nuki Smart Lock into a wide variety of Smart Home systems. 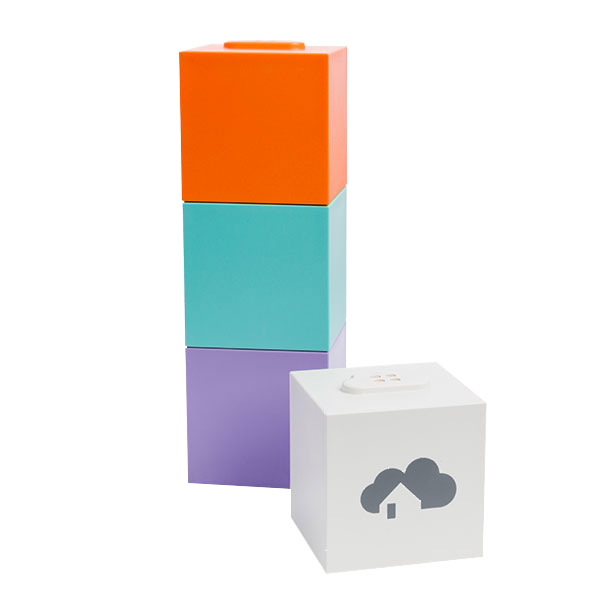 homee is compatible with Z-Wave, Zigbee, WLAN and EnOcean. You can create individual scenes and connect your Smart Home devices to each other. Coupling your homee is done via the Nuki Bridge HTTP-API. In the Nuki App, open the menu item “Manage Bridge” and connect your Bridge. Click on the Bridge symbol and activated “API quick connection” and “HTTP API”. Make a note of the IP address, port, and API token. Open your homee App and search for compatible devices. Enter the relevant values to connect your Smart Lock. Homey is an integrated Smart Home hub that links over 40,000 smart devices. 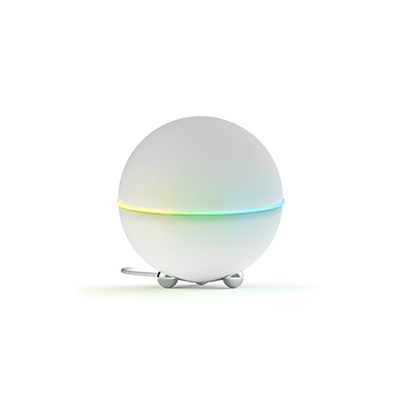 These include Fibaro, Sono, Somfy, tado°, Samsung, Nest, Saeco, Philips hue, Honeywell, Tesla, and many more. This is made possible thanks to the Homey’s full range of communication protocols, which includes Zigbee, Z-Wave, NFC, KNX, infrared, Bluetooth, WLAN and EnOcean. Find more information about Homey on our blog. Coupling your Homey is done via the Bridge HTTP-API. Install the Nuki App for your Athom Homey. Enter your Nuki Web access data in the Nuki App for your Athom Homey and authorize your hub to access your Nuki Smart Lock. Mediola is a uniquely flexible home control & automation system that turns your home or office environment into a centrally operated Smart Home in no time at all. 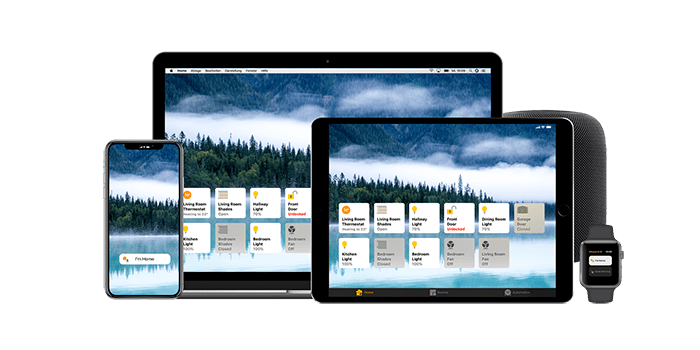 With the Mediola software, apps and gateways, you can control, steer and automate your entire building technology across all brands using smartphones, tablets or PCs. 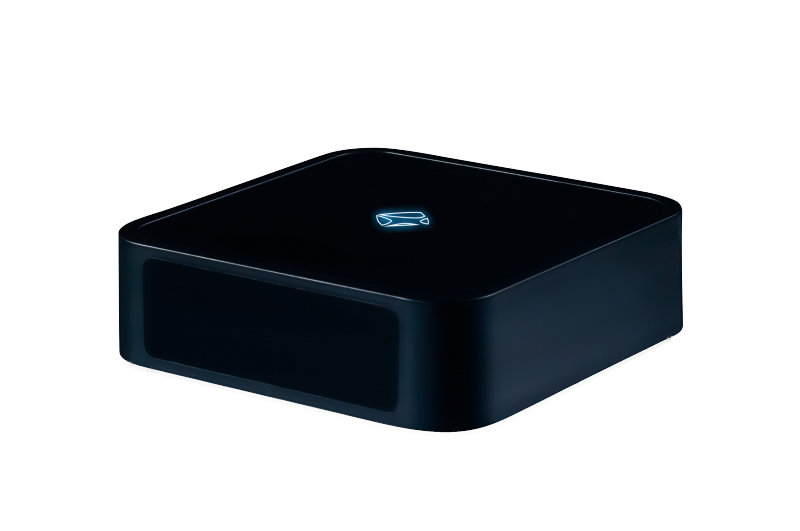 To use the Nuki Smart Lock with Mediola, you will need the Media AIO Gateway V5 with NEO CREATOR. It supports 433 Mhz, 868 Mhz, infrared and WLAN. If you want to connect your Nuki Smart Lock via Mediola to Z-Wave and EnOcean devices, you will need the Plus version of the gateway and the Neo plug-in for the Nuki Bridge. Coupling your Mediola AIO Gateway V5 is done via the Bridge HTTP API. Then open the device manager of your AIO Gateway V5 and click on “New Gateway” from the Gateways tab. Give your Nuki Bridge a name and select “Nuki Bridge” under type. Then enter and save the IP address and token. Smart Home is designed to make your life easier, safer and more comfortable. 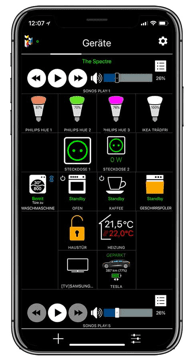 No matter if you want to wake up sooner or later in the morning depending on traffic conditions, or if you want to install atmospheric lights and intelligent sound systems in your home, the iHaus App offers you these options and more to control your technologies – regardless of manufacturer. All you need is the iHaus App on your smartphone your door to an intelligent, connected home is open. Coupling the iHaus App is done via the Bridge HTTP-API. In the iHaus App, go to the desired room and select “+ add” > “New devices and services” > “Nuki Bridge” and enter the relevant data. Afterwards your Nuki Smart Lock will be displayed under “found devices” and can be integrated into your Smart Home via LINKIT as usual. At home while on the road. With DoorBird Video Doorbell, you won’t miss a single visitor. And thanks to the smart integration of the Nuki Smart Lock into the Doorbird App, you can easily open your door while away. This is made possible via “DoorBird Connect”. 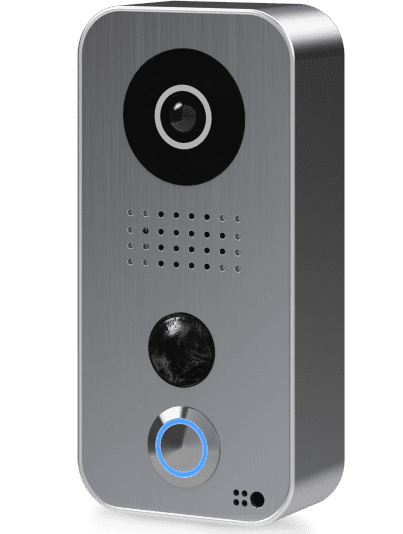 “DoorBird Connect” is a free feature that every DoorBird IP Video door station has at its disposal. Are you running late and don’t want to keep your visitors waiting outside? Or are you expecting an urgent package and can’t be home to get it? With Doorbird, these little everyday problems are a thing of the past! You connect your Nuki Smart Lock via the Doorbird App. Open the Doorbird App and go to the settings. Select Nuki from the tab “Smart Locks”. The Nuki App will open via shortcut as soon as you press the key symbol in video mode. 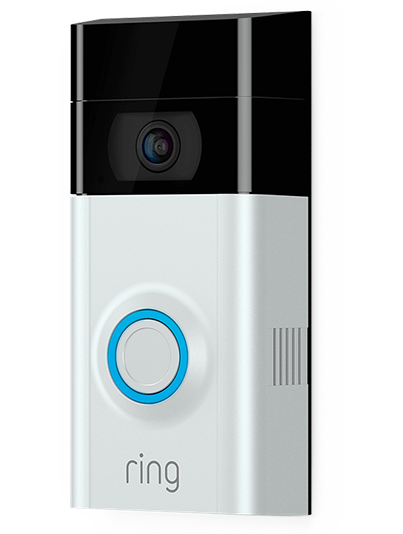 With the Ring Video Doorbell 2, you won’t miss any movement at your door. The smart doorbell simply sends a push notification as soon as it detects movement outside your door or if someone rings your doorbell. Equipped with a 1080p HD camera and two-way voice transmission, you can easily communicate with your guest via the Ring App. This allows you to, for example, tell the postman where to place your package or let your friends know that your ride home will take a bit longer and that they can make themselves at home. To integrate your Smart Lock into your Ring App, you’ll need to activate Nuki as a Ring+ partner. Select the desired doorbell and click on “Ring+ Partner”. Select Nuki and complete the set-up process. Experience the new dimension of hosting with Nuki and Airbnb integration.